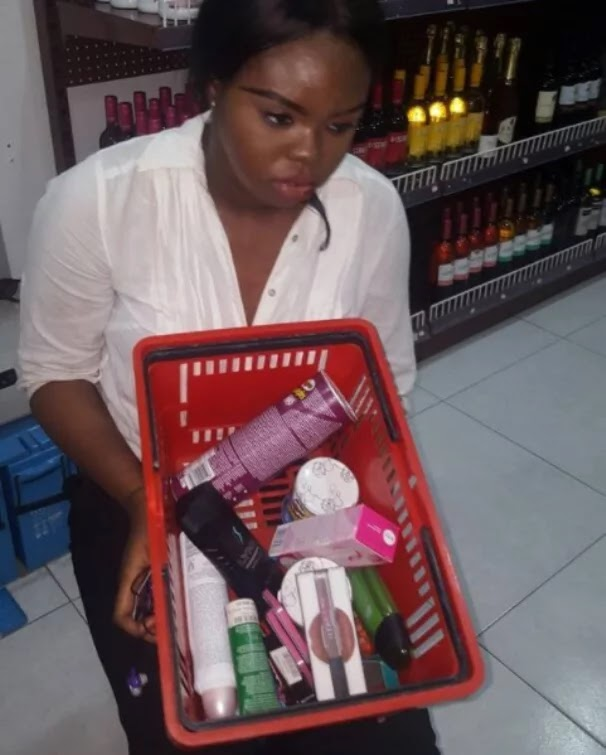 The photo of Nigerian woman has turned into a web sensation via social media as she was discovered stealing from a store around Ojodu, Lagos. Woman whose name was given as Tamara was accounted for to have been a serial shoplifter and strolled into Old English Superstore on Tuesday, July 25, where she stole beauty care products, toiletries and pringles. Her photo was instantly posted on Instagram on the store's Instagram as she was carrying the shopping basket.